Born in Nagasaki City in 1961. Studied guitar under his father from the age of 8. In 1976, won 1st place at the National Competition held by Japan Federation of Guitarists. In 1977, at the age of 16, became the youngest person to win the world’s largest guitar competitions in Ramirez (Spain), Alessandria International (Italy), and Paris International (France). After that, played and recorded in Japan and the US. His works with “Pictures at an Exhibition” (won German Record award) in 1981, “Symphony No.9 in E Minor From the New World” in 1987, “Sonatas and Partitas for solo violin”, “Six Suites for Unaccompanied Cello”, and “Lute Suites” from 1989 to 1991 has received critical acclaim. Alongside those classical pieces, he has recorded numerous guitar pieces over the years including “Cocierto de Aranjuez”, “Sor: Guitar Daizenshuu”, Mario Castelnuovo-Tedesco’s “24 Caprichos de Goya” and “es Platero y yo”. He has released a total of 65 CDs and LPs to this day. 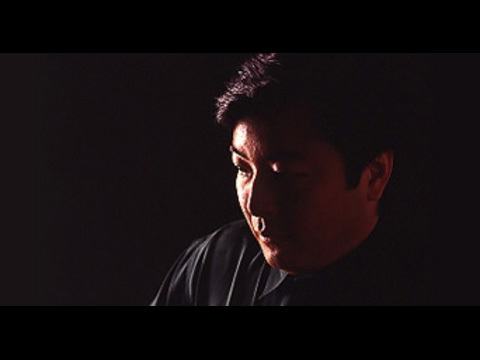 Aside from performing solo, he has performed with J. Galway (Flute), Gary Karr (contrabass), L. Coryell, and the Tokyo Quartet. He has been ambitious in extending his repertoire by approaching many composers and musicians internationally for collaboration. As a result, he has been offered many songs by various composers. Including performances with internationally renowned orchestras, he performs at various locations in Europe, the Americas, and Asia. He has reached the status of international stardom with his performance at the 1984 Toronto International Guitar Festival.